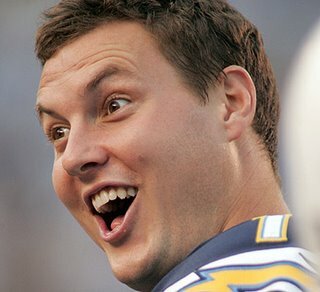 Philip Rivers is a national treasure. He put bolo ties on the map, he’s got a whole freakin’ troupe of children and he makes the best damn faces in all of football, Mannings be damned. Because he’s never won, well, anything really and because he plays for a vagabond franchise, he doesn’t get the credit he’s due as one of the best quarterbacks of his generation. It’s a shame that the Chargers’ incompetent ownership has squandered such a bright talent, wasting the prime years of Rivers’ career chasing profit margin instead of wins. 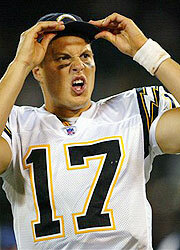 Then again, as the losses have piled up over the years, it’s not like Rivers himself has been totally without blame. He’s got a tendency to aggressively force the ball into tight windows, resulting in a fairly prodigious number of interceptions. 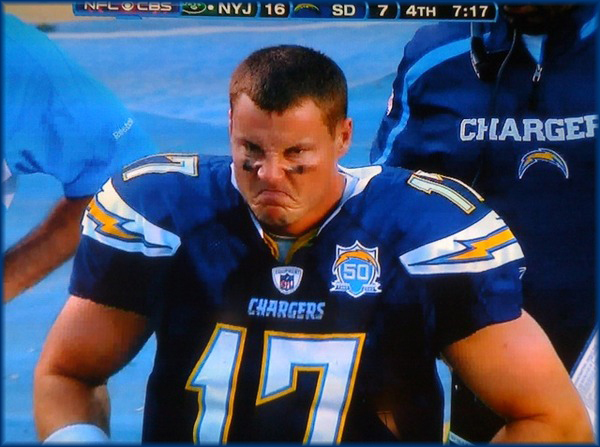 Even in games where his teammates are clearly to blame for a loss, Rivers manages to inject some of his own flair into the proceedings.